In Greifswald, all locations of the university can be easily reached by bicycle, so the search for accommodation is usually less about the "where" than the "how" of living. We have again put together many helpful links for you that can help you find accommodation. Furthermore, you can of course also fall back on real estate agents, of which there are many in Greifswald. Also worth a look is the student forum ryckwärts.de and the corresponding Facebook groups, where apartments and furniture are often offered cheaply and uncomplicatedly. By the way, it's worth moving your main residence to Greifswald, you will get a residence bonus and other discounts, e.g. for theatre visits. In addition to lectures, seminars and colloquia, there are many opportunities to indulge yourself in sporting balance or to become active in other ways. The university's own Unisport offers numerous sports courses, but there are also many Sportsclubs in Greifswald that are always happy to have a new generation. You will also find what you are looking for on Facebook, for example, if you are looking for a football group or a juggling group. The Theater Vorpommern always has a varied repertoire and the theatre group of the university also enriches the cultural leisure time of the Greifswald student body. 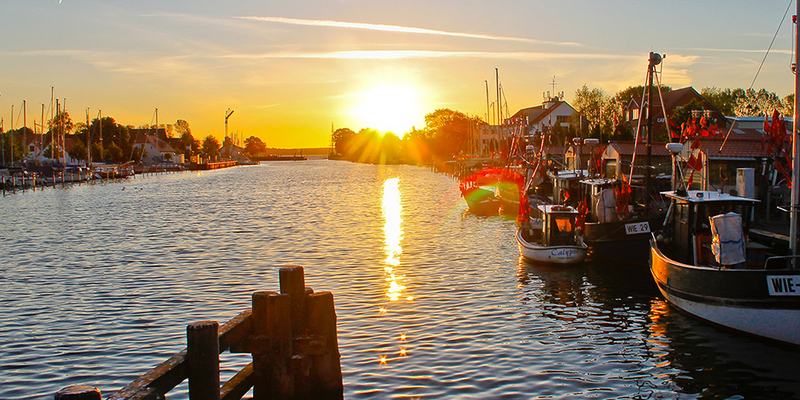 Greifswald lies directly on the Greifswalder Bodden, nestled in beautiful landscapes and in the immediate vicinity, many beaches with very good water quality and many water sports opportunities are tempting. And the nightlife is not missed out in any student town. However, you shouldn't be too often distracted from your studies by the student clubs, bars and discos.